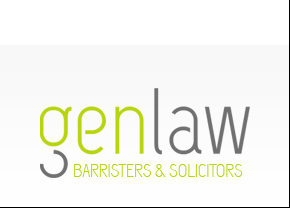 Established in 2002, Genlaw Barristers and Solicitors is a boutique law firm specialising in Information Technology law and commercial contract negotiation. Genevieve Gill, as founder and Principal of Genlaw, has supported the expansion of a number of technology businesses, both in New Zealand and overseas, by providing robust and commercially focused legal advice. Genevieve also advises a wide range of public and private sector organisations in relation to their procurement of technology solutions and related goods and services.